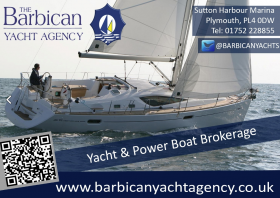 Feature Boats – A new section dedicated to our feature boats, changed every few weeks – we have kicked this off with a Superb Hardy 36 Commodore and a fantastic Jeanneau SF40! Google Maps – We now have an interactive Google Map on our “How To Find Us” page – Making it even easier to plan your trip to see us! If you own one of the above vessels, we would be very pleased to hear from you and provide you with a free, no obligation valuation. Call us on 01752 228855 to find out about or latest brokerage package deals. Spring is not far off. Well nearly!!! Don’t leave your winter maintenance too late! Christmas is only around the corner! Give us a call 01752 228855 or email us if you would like to receive a quote. The last 2 months have been phenomenal, with 5 of our brokerage boats selling within 2 weeks! Contact us now to take advantage of the buoyant market and sell your boat FAST. Call us now on 01752 228855 and speak to Mike, James or Shelia to discuss what brokerage services we can offer you. 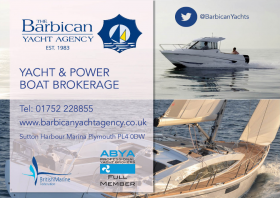 We are members of both the British Marine Federation, ABYA the professional Yacht Brokers Association, and the Federation of Small Businesses.